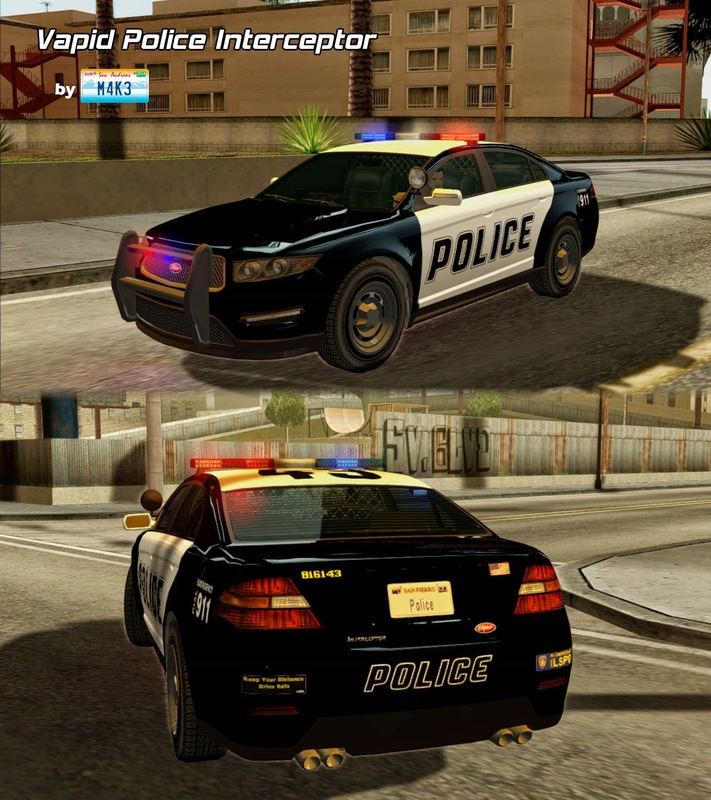 Vapid Police Interceptor from GTA V converted to GTA San Andreas and edited by M4k3. Contains 2 versions: ImVehFt 2.1.0+ adapted and ELM (SA lights) version. -The car uses 4 car colours (1 - body, 2 - doors and roof, 3 - wheels, 4 - windows). -Wheels work correctly in SAMP. -ImVehFt 2.1.1 support (all lights work the same way as in GTA V, steering wheel, brake pads, custom colours, police lights). 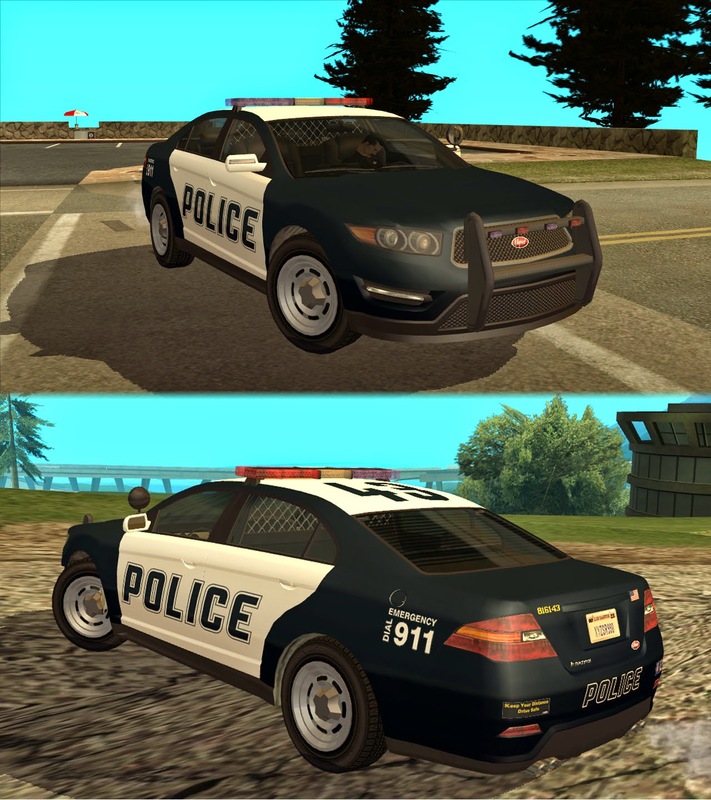 -2 paintjobs (SFPD and LVPD). como hago funcionar el EML del IMVEHFT ? te presiona alguna tecla o algo ?? I don't understand Spanish. 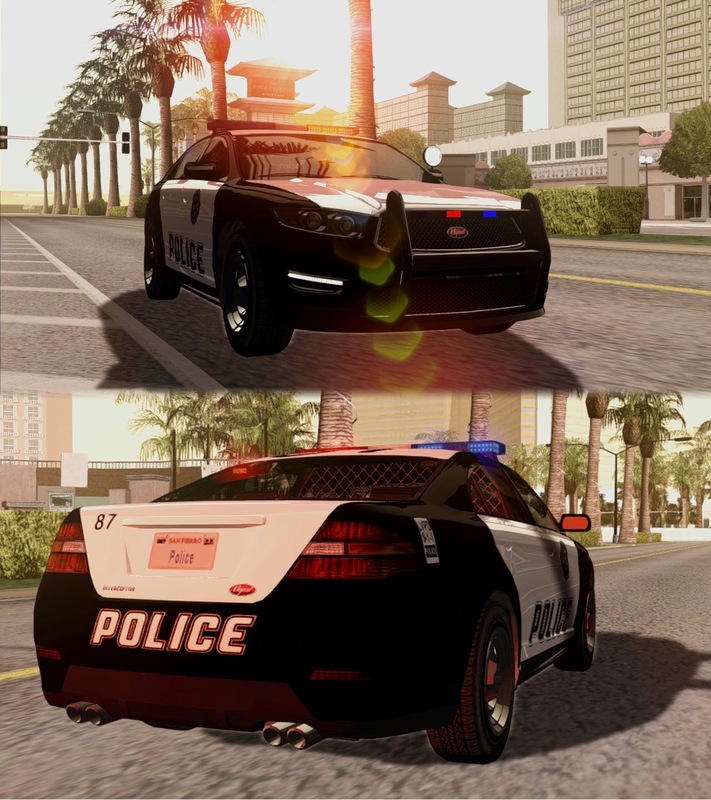 EML = file for police lights used in ImVehFt 2.1.0 or newer versions. Just put it into GTA San Andreas/ImVehFt/EML and it will work when you have the car installed and press H.
Dude, This is amazing, congratulations. I had never seen anything like it, I love these mods, AWESOME. It would be totally AWESOME achieve these things, and even pay for these functions. Seriously, if you want to do I can pay you. I mean, if you do that I asked you, i'll pay you. Uhm about ImVehFt version lights - they can't remain static when you press a button. They will always flash the same way. ImVehFt doesn't have different patterns for lights. All I could do was differently flashing lights and I did it. 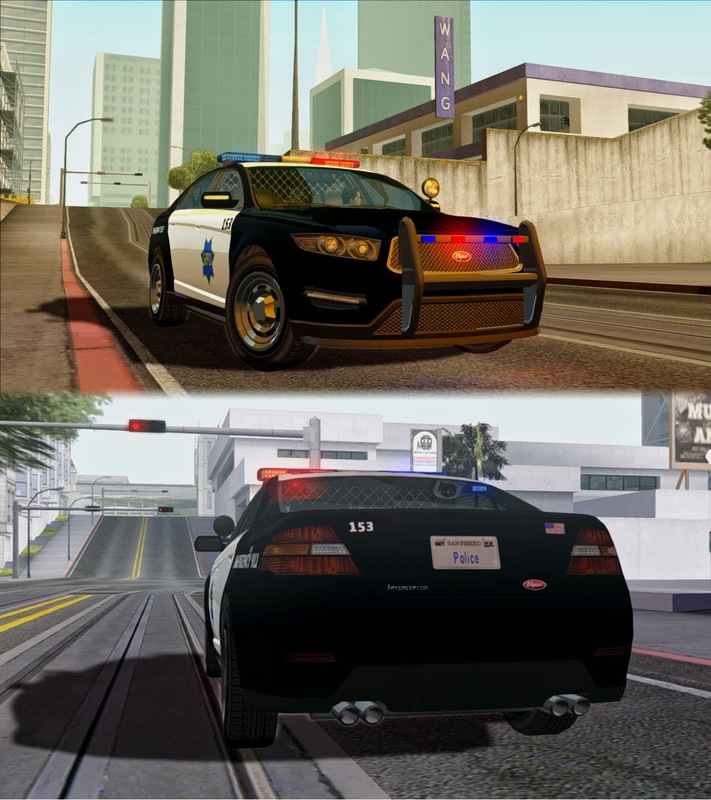 Could you create a LAPD Crown Vic with EVF? how to install ELM? full video? Сделай пожалуйста нормальную расскраску, когда заменяю TXD, текстура авто белая.